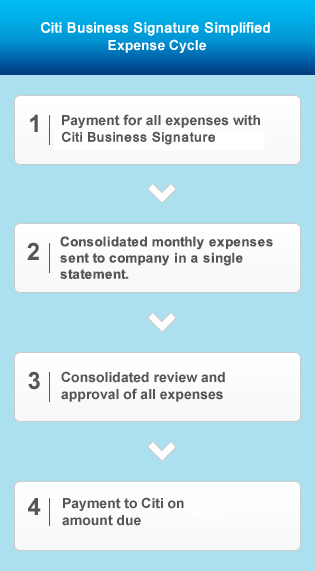 Citi Business Signature card supports your business expenditure needs, complete with comprehensive expense reporting. Moreover, the card also lets you enjoy cashback on selected spend with zero annual fees and complimentary insurance as well as offers and benefits from Citi. Streamlined manual expense processing and time saving single payment solution. 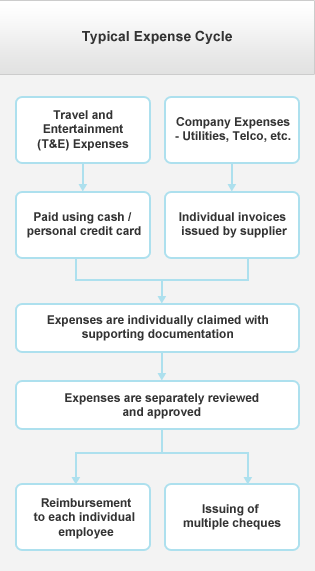 Organised, consolidated report that allows you to reconcile and track expenditure easily. Full Corporate Liability - The company (Principal account) will be solely liable for the total debt of every card issued under its name. Set spending limit to control employee expense. Earn 0.75% cash back on selected spend. Earn an additional 0.25% cash back on selected spend from now till 14 September 2019. Earn 0.5% cash back on utility spend. • Discounts at selected premium golf club worldwide, automatic room upgrades at the finest hotels and lots more with VISA Signature. To find out more, please visit here. 1 The insurance policy is underwritten by AIG Malaysia Insurance Berhad and Citibank Berhad is the group policy owner. This insurance coverage is offered to Citi Business Signature Cardmembers on a complimentary basis. Terms and Conditions apply. 2 The insurance policy is underwritten by Chubb Insurance Malaysia Berhad and Citibank Berhad is the group policy owner. This insurance coverage is offered to Citi Business Signature Cardmembers on a complimentary basis. Terms and Conditions apply. 3 The minimum redemption value is RM200. Just call our Business Priority Line at 03-2383 3388 to redeem. Terms and Conditions apply. Time is money. Do away with manual expense calculations and streamline your company's expense management process by making it shorter and more efficient. Employees' minimum income must be at least RM24,000 p.a. Click here to view the full list of fees and charges. We'll contact you on the following business days. Citi Business Platinum Card - A business credit card with cashback & travel insurance privileges, ideal for business owners. Citi Prestige - A premium Mastercard credit card, with which you can enjoy unlimited airport lounge access and complimentary 4th night stay at any hotels worldwide. Click here to view the product disclosure sheet. Citi Business Signature Card (Full Corporate Liability) Terms and Conditions effective 15 April 2019 Click here.